Speaker: Alice Albright, Chief Executive Officer, Global Partnership for Education (GPE). Investing in equitable, quality education systems has a powerful positive impact on economies and societies, and in turn drives progress across the range of the UN Sustainable Development Goals. Educating and empowering girls and women in particular helps to strengthen economic prosperity, and improves stability and health outcomes. However, the education sector is chronically underfunded. Until recently, the Global Partnership for Education (GPE) has relied largely on financing from traditional donors. Over the past year, GPE has developed a new comprehensive financing and funding framework to mobilise additional, more diverse and better financing for education, and to more efficiently deploy its funding ahead of its next replenishment to be held in early 2018. For Australia, the replenishment and new financing and funding framework provide opportunities to emphasise the education challenges faced by the Asia-Pacific region, as well as to identify and target new resources to tackle these challenges. 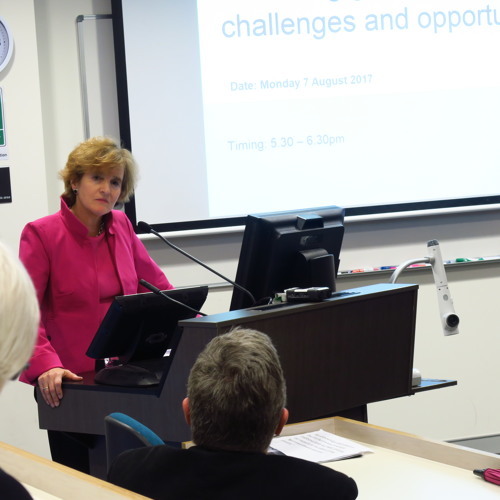 In this public lecture, Alice Albright, Chief Executive Officer of GPE, discussed the global and regional education opportunities, these financing challenges and how GPE is adapting and innovating to address them.